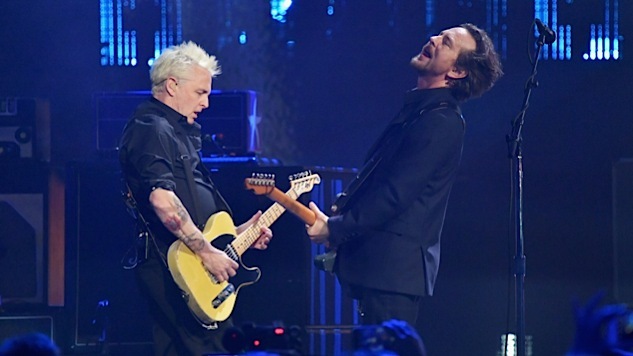 Pearl Jam Share First New Song in Five Years, "Can't Deny Me"
The song is available to the babd's fan club members. Pearl Jam, the 2017 Rock and Roll Hall of Fame inductees and makers of this cool 8-bit baseball-themed videogame, have shared “Can’t Deny Me,” their first new song in five years, as Stereogum points out. The song, with its explicit political themes and apparent shots at President You-Know-Who (“your lies are sick…), is only available to members of the band’s fan club, so if you want to hear the whole thing, head over here. Otherwise, you can listen to a snippet of the song below. Pearl Jam’s most recent studio album was 2013’s Lightning Bolt. Read Paste’s review here.